After his first television performing job on Washington, DC’s WTOP in June 1954, seventeen-year-old Jim moved over to the NBC affiliate, WRC, in late July. Jim performed his characters on a number of shows there including Circle 4 Ranch and Footlight Theatre. 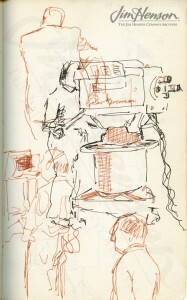 The following March, a variety show began to air at 2:25-3:00 PM, appropriately called Afternoon. 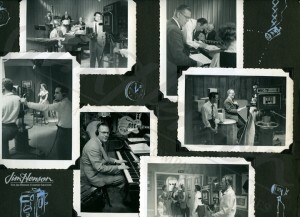 It was hosted by Mac MacGarry and a young Willard Scott, and featured Jack Maggio singing with the Mel Clement quartet. The entertainment was rounded out by a fashion and cooking segment with Inga, and a musical or comedy bit from the Muppets. Their popularity led to Jim’s first solo show later that spring: Sam and Friends. Jim continued to perform on Afternoon during its year-long run at various time slots and with various personalities. 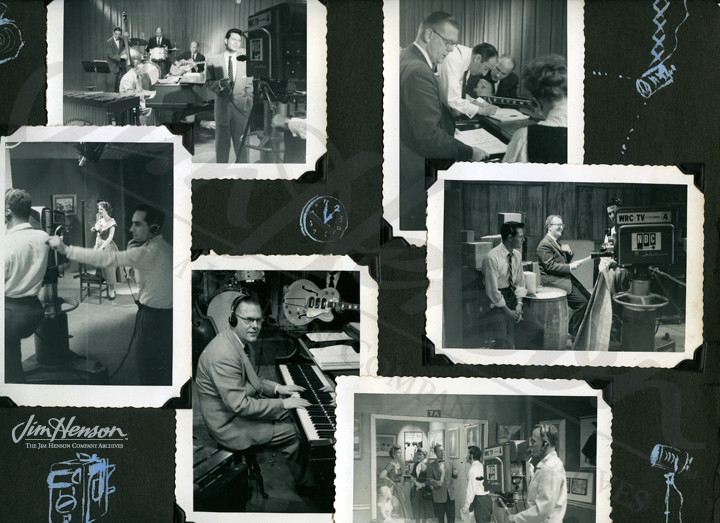 Learn more about Jim’s earliest television performances on Afternoon and other programs. 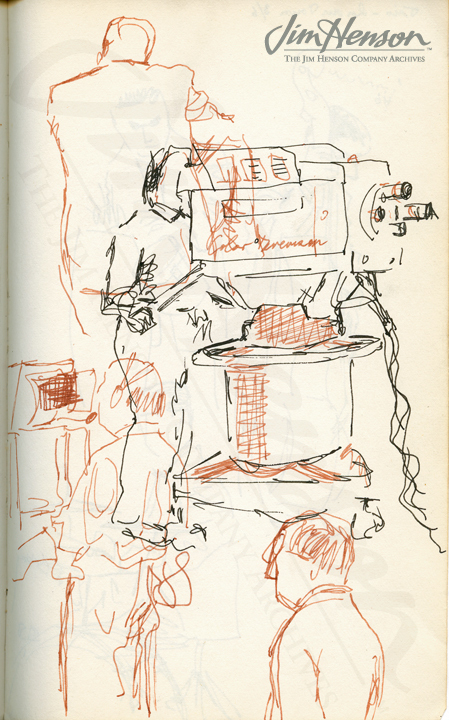 Jim’s sketches of behind the scenes at WRC-TV. Jim’s photos behind the scenes at WRC-TV. In Our Town was another WRC show that sometimes featured Jim’s Muppets. This entry was posted in 03-March '55, 1955, Sam_and_Friends and tagged Afternoon, Circle 4 Ranch, Footlight Theatre, Jack Maggio, Muppets, Sam and Friends, Willard Scott, WRC. Bookmark the permalink.